Posted on March 8, 2013 by EL CHAVO! I’d heard rumors oh for many, many years that at long last another issue of SSP would see the light of day. 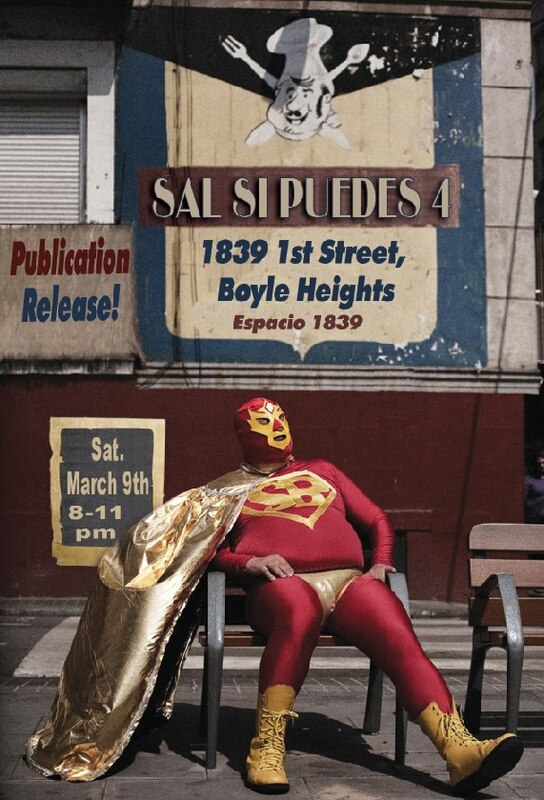 I didn’t believe it, and still don’t, but CT is so convinced of its resurrection that there is an actual “Publication Release” planned for Saturday, March 9th 2013 at 8pm over at Espacio 1839 in Boyle Heights. Seeing is believing buddy. Notice it doesn’t say Release Party? I did. O pues. 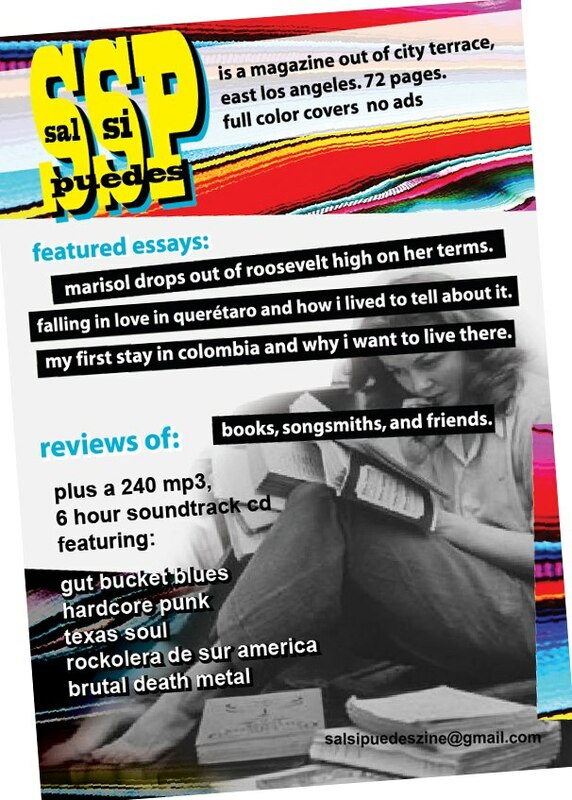 If you don’t know, Sal Si Puedes is one of the best literary magazines to come out of the Eastside. I did a review of issue #3 waaaaayyy back in 2005, you should go read it. See, doesn’t that sound interesting? It might take another decade for the next issue to come out so if I were you I’d hurry in to get my copy. The going rate is $10 but if you mention that you heard about it on LA Eastside, CT will let you have it for $9.99 and will throw in a free knock-knock joke. Yer welcome!